105Speed have been supplying their uprated triple core, copper and brass radiators for the last 15 years to classic car racers and modifiers along with owners of standard cars who need a cooling solution for modern driving. The radiators use the more efficient three row core that can be fitted into an original frame which keeps the mounting and hose positions the same. The original period look is maintained. 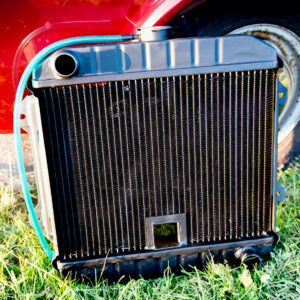 Your existing copper and brass radiator from the vehicle is needed to replenish stock. Price is £150 + Postage and Packaging. The item will be despatched from stock once your old radiators has been received. 105Speed have been supplying their uprated triple core, copper and brass radiators for the last 15 years to classic car racers and modifiers along with owners of standard cars who need a cooling solution for modern driving. The radiators use the more efficient three row core that can be fitted into an original frame which keeps the mounting and hose positions the same. The original period look is maintained with the exception that a fan switch has been fitted. Price is £185 + Postage and Packaging. The item will be despatched from stock once your old radiators has been received. 105Speed have been supplying their uprated triple core, copper and brass radiators for the last 15 years to classic car racers and modifiers along with owners of standard cars who need a cooling solution for modern driving. 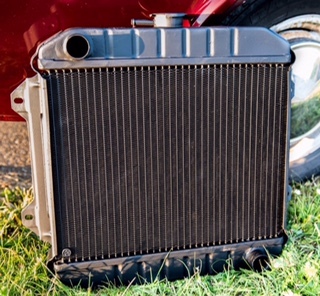 The van split core radiator uses the more efficient three row core fitted into an original frame which keeps the mounting and hose positions the same. The original period look is maintained along with the starting handle hole. 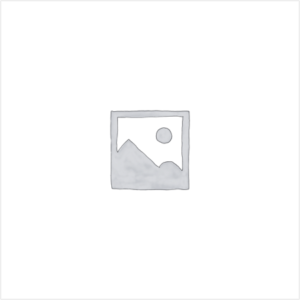 Your existing copper and brass radiator from the van is needed for the refurbishment. Price is £175 + Postage and Packaging. The original period look is maintained with the exception that a fan switch has been fitted. Price is £210 + Postage and Packaging.